Today, when grabbing a quick bite to eat on my way home, I came across the cutest car I've seen. 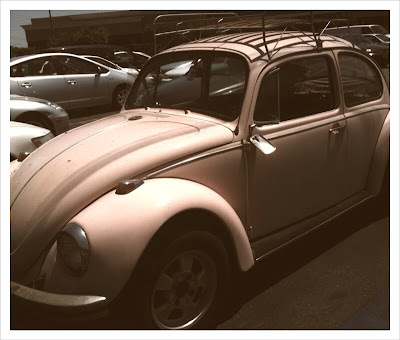 It was a light pink vintage Volkswagen bug with a broken side mirror. I snapped a photo of it despite the fact that I felt like a bit of a stalker. I couldn't help imagine myself driving up the 101 in this beauty while listening to my favorite beach mix. 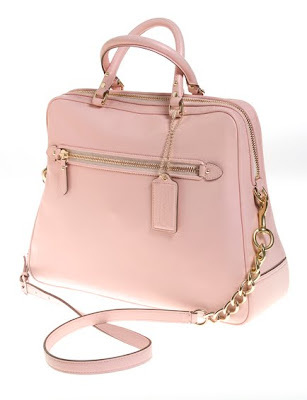 The light pink also happens to be the same color of the purse I've been drooling over for the past couple of months by Emily over at Cupcakes and Cashmere.